Drivers across Britain have enjoyed lower fuel prices for three months in a row because of price reductions across the UK’s filling stations. This now appears to be at an end as both petrol and diesel prices increased last month. Fuel retailers were swift to respond to the news of increasing oil prices by raising the price of their fuel, but the motoring organisation, the RAC, has hit out against retailers, accusing them of being slow to pass savings on to drivers when wholesale prices fall, yet hike up pump prices the instant their own costs rise. Since the start of November 2018, the average price of unleaded went down by 11 pence per litre (ppl), taking it from 130.61 ppl to 119.60 ppl at the end of January. The cost of diesel also dropped, by 8p per litre to 128.7 ppl. Production cuts made by OPEC (Organisation of the Petroleum Exporting Countries) in partnership with Russia have driven up the price of crude oil by 5%. This added $3 to the barrel price across February, taking it up to $65.13 by the end of the month. At one point, the price of a barrel reached $67—the highest it’s been since November 2018. 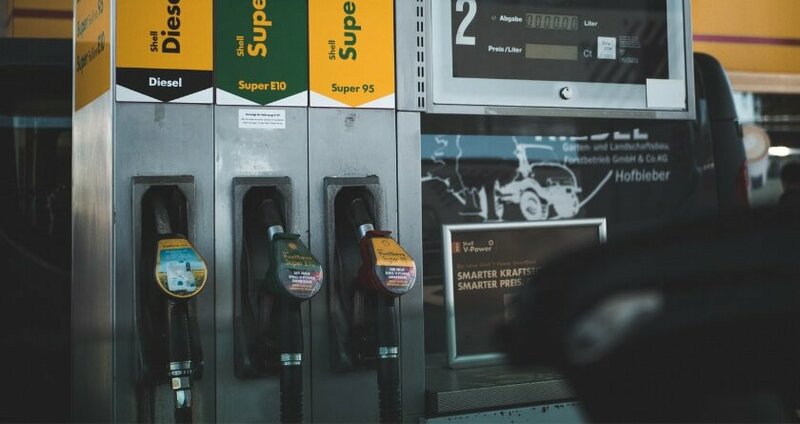 The jump in the price of oil drove up prices across UK forecourts at the end of February after retailers incurred higher wholesale fees. According to the RAC, the UK average price of a litre of unleaded petrol rose by almost a penny (0.88p) to 120.42ppl, while diesel increased by just over a penny (1.24p) to 129.88ppl. After over six weeks of keeping its prices the same, Asda was the first supermarket of ‘the big four’ to pass the rise in wholesale prices on to its customers with a slight increase in the price of its unleaded petrol. The February price rise means an average 55-litre family car now costs £66.23 to fill up with petrol and costs £71.43 for a diesel car. RAC Media Relations Manager and fuel spokesman, Simon Williams said the price rise would disappoint drivers. The forecourt industry denies making good profits from petrol sales and it’s true that most retailers make only a little on a litre of fuel; often just one or two pence profit per litre. “That is hardly sustainable,” said Brian Madderson, Chairman of the Petrol Retailers Association (PRA), in the past when defending earlier prices rises. He explained the only way most petrol stations survive is by having other facilities attached to them, such as shops, car washes and cash machines. Even though drivers can’t control the price of petrol and diesel, it’s possible to reduce how much you use. Figures by The Department for Transport show we use up to 9% more fuel driving at 70mph than at 60mph and up to 25% more fuel travelling at 80mph instead of 70mph. The faster you drive, the greater your fuel consumption. Go gentle on the accelerator, brakes, and steering. The most energy-efficient way of driving is smooth. Focus in the distance on what’s coming up so you can make adjustments early to prevent a disruption to your flow. On average, every extra 50kg increases fuel consumption by 2%, so don’t keep unnecessary items in your boot and only fill up half-way if you’re an urban driver. Don’t leave your roof racks on, either—they cause ‘drag’. Even empty roof racks increase fuel consumption by around 10%. Your tyres and brake pads can affect the overall performance and fuel economy of your car so inflate your tyres to the correct pressure as stated in your owner’s manual and keep up with your car maintenance and servicing. Download the PetrolPrices app. The average user saves over £220 a year from using the app or website. We receive around 8,500 data updates for 98% of the fuel market, enabling us to find you the cheapest available fuel wherever you are. The big supermarkets often tempt customers into their shops by reducing their fuel prices. Sometimes they’ll offer money-off vouchers at the till, for use at their forecourts. Supermarkets and other fuel retailers often run loyalty card schemes, too. Collect points each time you fill up and spend the points on future fuel. Has the cost of petrol or diesel gone up where you are? Are forecourts too quick to pass increased costs onto customers? Tell us your views in the comments. Not correct, in Plymouth ASDA & Morrison’s increased Diesel by 2 pence in the last week, from £1.23.7 to £1.25.7, in 2 jumps. The petrol station’s in Burgess hill are a prime example. They are fast at putting prices up but are slow at putting them down. Where has in Haywards Heath they do put there prices down to a low. I would say drive there and let the petrol station’s in B.H suffer so that they don’t fleece the drivers anymore. There is collusion between these outlets abd companies. How can a forecourt within 2 miles of a refinery charge 10 pence more per litre than one 15 miles away? None the less a penny more on a litre of fuel is placing more money in the Exchequers pocket. VAT Value added Tax? There is no value paying these extortionate rates, whilst other countries are so much liwer. No the answer is sheer greed something the UK publuc have now woken up too. AT LAST. ‘…sheer greed something the UK public have now woken up too. AT LAST.’ Really? I’ve been aware of greed & rip-off for at least 60 yrs. Has everybody else been asleep ? Petrol went up by 1p today at Sainsbury’s in Carlise, now at 115.9ppl. Diesel rose by 1p to 124.9 several weeks ago and remains there still. Asda and Morrisons are usually the same or very close. Are you aware that your advertiser kscreatively.com links to bitcoinrevolution which is well-known investment scam? Supermarket prices have been rising a penny or so each week in the hope drivers do not notice. The supplier/retailers are like a plague, fast to act when it rises but ultra slow in reducing. They are the carbunkle of society. Why has the difference between petrol and diesel risen to around 10ppl whereas not long ago it was only a couple of pence with the more refined petrol having the advantage. This arguement over the way fuel prices go up or down i.e, faster going up,slower coming down has been raging since I started driving in 1966 and no one has ever managed to change it.Has anyone else noticed the prices come down during the winter months when we all stay in more and rise as soon as we go to British Summer Time and its assumed we all travel around more. Still the biggest problem with fuel prices is greedy government. Have you noticed when the pound goes up against the dollar the fuel goes up, when the pound goes down against the dollar the fuel goes up. I am still waiting to see how they are going to collect taxes when everything goes electric !! I don’t get it, surely if fuel prices were kept at affordable levels, more full tanks would ensue, hence more profit at the pumps and the Exchange…keep raising fuel to unaffordable levels and folk would think very hard about whether to make that journey, and the economy as a whole will suffer…I mean who wants to use overpriced, overcrowded trains and non-existent draughty buses….and of course higher fuel prices inevitably lead to increased delivery charges and higher prices for everything in general..not good for creating a robust economy. With the rise of petrol prices again, query which is the more efficient and cost-effective petrol fuel to buy the fuel from the Supermarkets or from the establishes petrol companies?